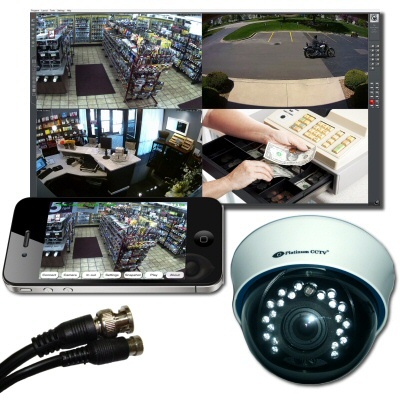 When considering a new security camera system for your home or business, there are several system types from which to select. While there is not a one-size-fits-all when it comes to security, there are several considerations which will help make sure you are selecting a system that will suit your needs now and in the future. During this article, we will focus on the system type that is recommended for home and business security camera installations. The system type will decide what cables will be run from the recorder to the cameras, and will determine future expansion and recording capabilities. The main CCTV camera systems are: Analog, HD-SDI (HD over Coax) and HD-IP. While these are old technology now, they are still worth mentioning for budget minded home or business security camera installations. These camera systems utilize standard NTSC (or PAL in Europe) security cameras running over coaxial power/video cables from each camera to the location of the recorder. These camera systems max out at 720x480 approximate resolution per camera, though some recorders now offer 960x480 with 960H recorders. While this pales in comparison to the resolution of the following two system types, when used properly, analog cameras can still provide detail needed. Select this system when on a budget for installation, and run Coaxial RG-59 Siamese cable with Power/Video. In the future, the same cables can be used for HD-SDI cameras and recorder to upgrade. 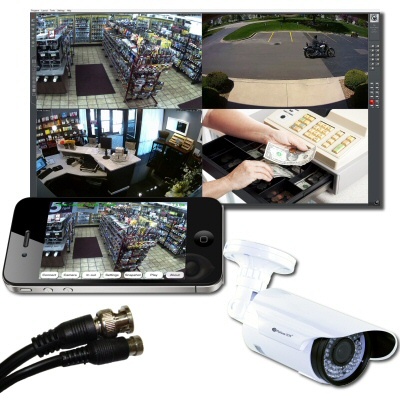 These systems are a newer style of security camera, offering HD resolutions up to 1080P over a standard coaxial cable (just like is used in the analog camera systems). These cameras provide 30 FPS with low-latency and should be used when upgrading an older analog system when good quality coaxial cables are already in place, or when PTZ style moving cameras are desired for your home (or usually business) installation. These PTZ cameras will deliver more immediate control than their IP PTZ counterparts because of the decreased delay times. This style of camera system is highly recommended when moving PTZ HD cameras are required, or you are upgrading from a traditional analog system and cables are already in place. 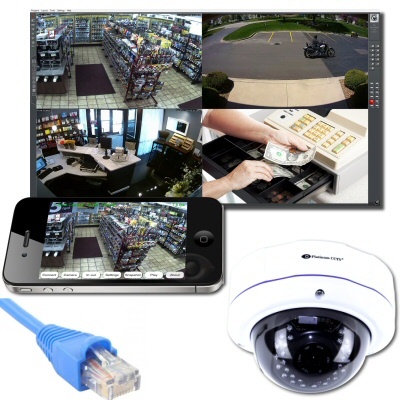 The HD IP cameras systems are the most popular for NEW camera installations for a home or business, they use CAT-5 ethernet cables to run between the camera and the main network. This means that every camera run does NOT have to run all the way back to the recorder, as these cameras communicate directly over the network, so as long as the camera and the NVR (Network Video Recorder) are on the same network, it will get the camera's data stream. 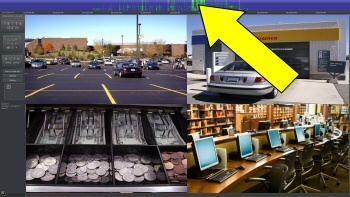 These cameras can be found in many resolutions, ranging from 640x480 up to 1080P and beyond. Because these cameras also have built-in video processors, higher level functions like video analytics can be built-in to the camera to provide advanced-level alerting (unlike the other two camera styles). Running CAT-5 cable can be much less expensive and less intrusive for your business or home, because the cable is a much smaller diameter and easier to run out to each location. This style of camera is highest recommended when installing new camera systems. Regardless of the system type selected, we highly recommend our AVM (Advanced Video Management) platform for your recording. There are several advantages to this type of system that will ensure you get the most out of your camera system now...and in the future as well..
No matter what type of camera system you choose for your home or business security camera installation, our AVM platform will help ensure you get the most out of the system and are able to expand in the future.